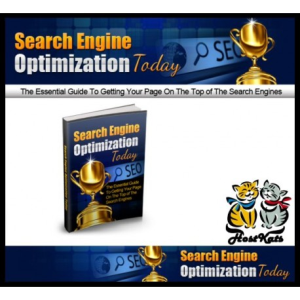 In this book, you will learn the basic concepts of SEO and highly advanced, widely adopted, and popular SEO practices that can greatly help your business and website to outrank your competitors on the web and be on top in search engine ranking. -60-page guide on the steps you can take to get any page ranked on the top of the search engines. -What exactly is search engine optimization? We’ll get down to the basics first before you actually implement some SEO techniques. -The benefits of search engine optimization. -On site SEO and Off site SEO – what they are and how it can make a big difference to your site ranking. -How to develop a keyword list – from research to the tools you need to find keywords in your niche to target. -How to create content that’s optimized for search engines. Follow these 7 steps to create content search engines will love. -How to set goals and plan. It’s easier to follow-through when you have something tangible you can see, such as a goal. I’ll show you how to plan, set targets and objectives.